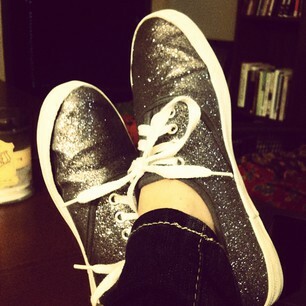 If I am going to be casual, I am going to at least make sure that I sparkle! they don't have them anymore but converse sells a similar pair. I can't believe you got those for $5 - what an awesome find!